Last week, San Diego played host to marketing optimization teams attending HP Software’s annual user conference, HP Engage 2015. It was a valuable chance for business, IT, and marketing leaders to discover how to leverage technologies like big data to manage customer communications, digital experiences, contact center, and mobile and social engagement. HP Engage was a great show, and we at SparkPost were proud to be a sponsor—and even prouder to be able to unveil our partnership and integration with the HP Exstream customer communication management (CCM) platform. It makes sense. Customer communication is at a tipping point, with even the most conservative businesses shifting away from printed communications to the digital channels their customers use. But without the assured delivery and engagement visibility that are core to SparkPost’s advantages, this sort of e-delivery simply wouldn’t be feasible. This great partnership means HP Exstream customers now can rely on SparkPost’s unmatched delivery to the inbox as well as its real-time analytics and uncompromising security. SparkPost customers already know all about the deliverability advantage that HP Exstream users now will realize, including the Adaptive Email Network, which leverages automated delivery tools and relationships with ISPs to deliver unsurpassed transactional email success. Moreover, our integration with HP Exstream can be configured to automatically send document payloads through backup channels like SMS texts or even old-fashioned snail mail when an initial delivery method fails. That’s serious deliverability. And pretty cool, too. P.S. 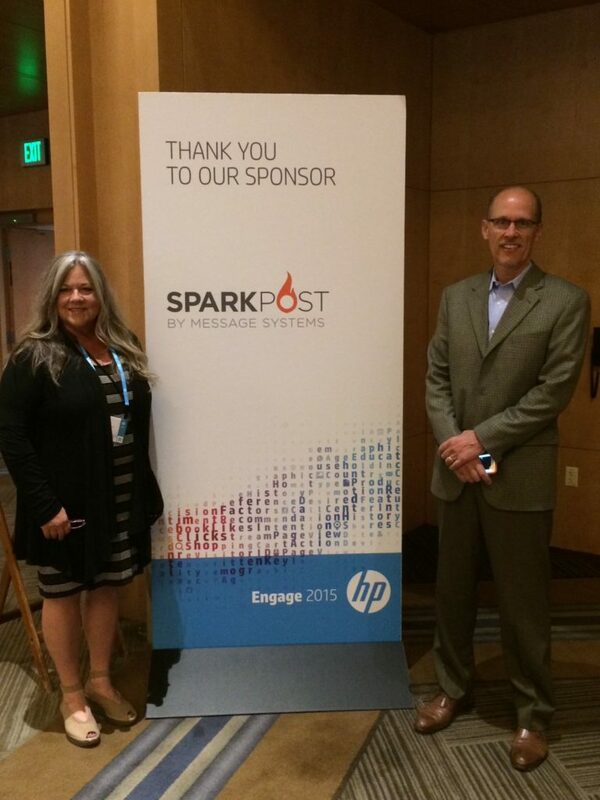 Want to learn more about how SparkPost and HP Exstream are working together? Check out our partner brief. We even wrote a press release.